If you had told me that one day I would live and work at a football academy in Sierra Leone I would have laughed at you. A lot. As a child I was not sporty. I would be the one picked for the netball team last. I was the girl the teachers banned from javelin as they saw me as a health and safety risk. I was always a good swimmer but anything involving me kicking/throwing/catching a ball did not end well. My Physical Education report tended to include the awful words ‘Laura always tries hard’. Football held no interest for me as either a spectator or a player. I now live and work alongside some of the most amazing footballers in Sierra Leone. I work for the Craig Bellamy Foundation in Sierra Leone and today found myself cheering with delight as our CBF Academy boys brought home an 11-0 victory. I suddenly care about football an awful lot! I also see the social use for football. 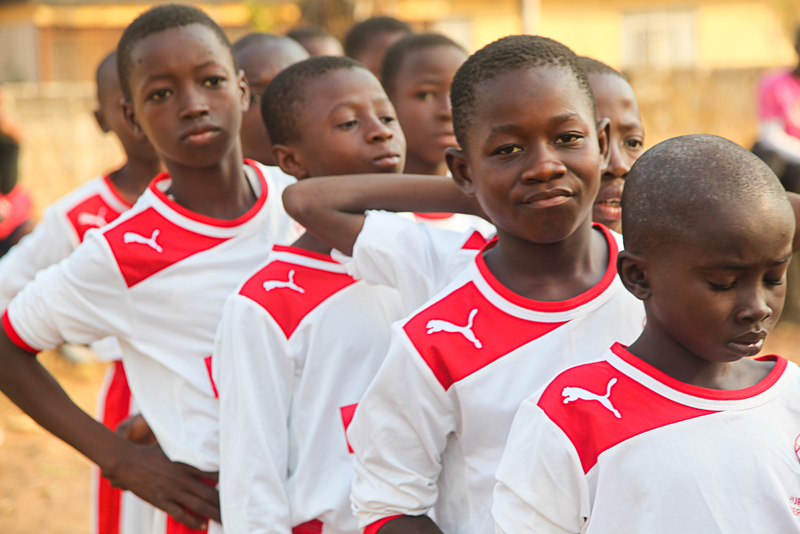 Our unique Youth Development League allows 2000 girls and boys to go to school using sport as a vehicle for engaging with local communities. 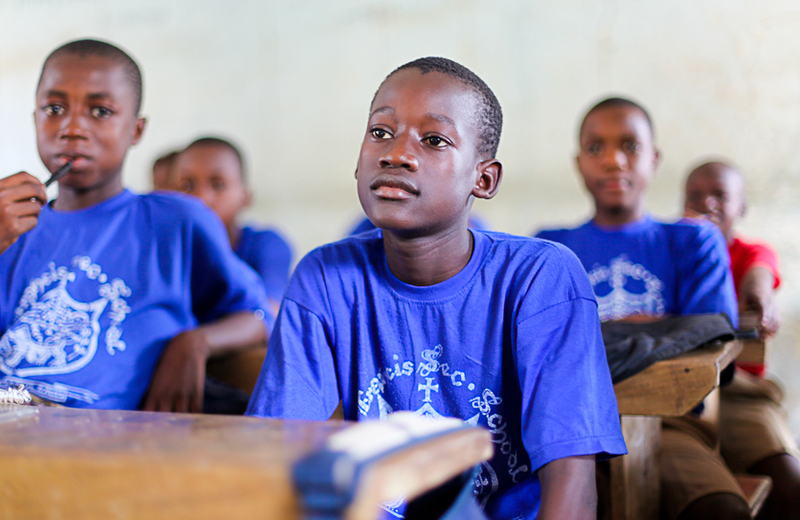 The children score points not only for matches won but for school attendance and community development projects. 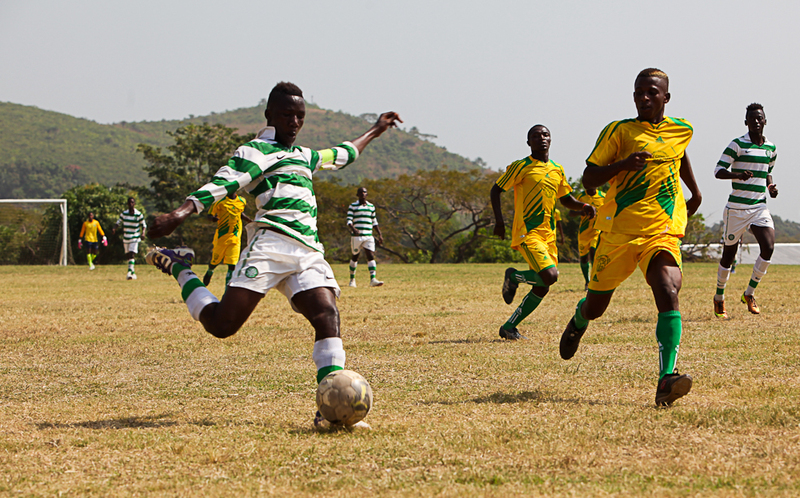 The passion for football is harnessed and transformed into passion for education and passion for Sierra Leone. Football is awesome! Ready for the game to begin in Makeni, Sierra Leone. 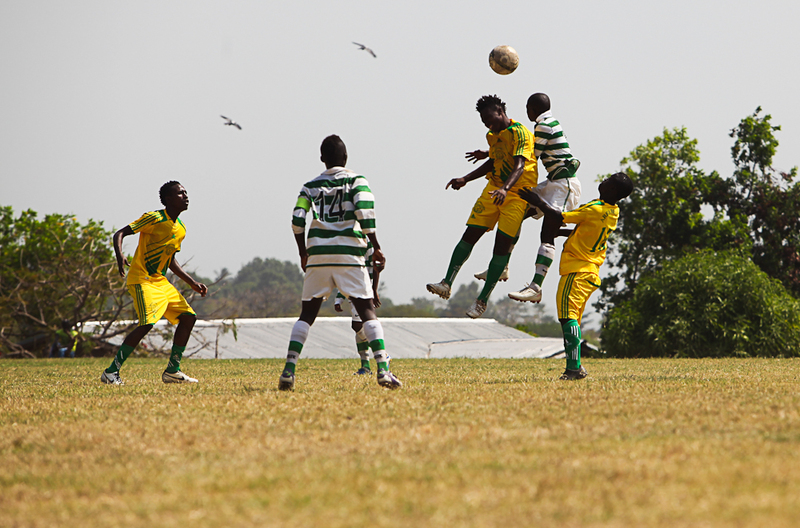 CBF Academy Captain Umaru Samura powers through to take possession. Football is thankfully no longer a ‘man’s world’. Girls train in Makeni ahead of their match. 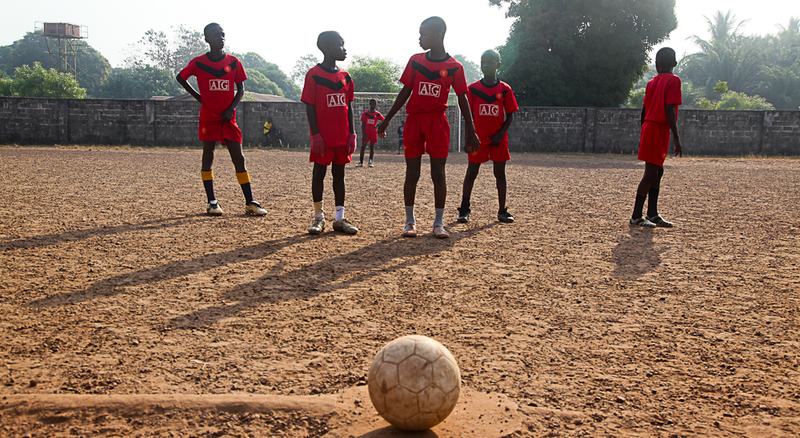 Football cannot change the world – but it is making a big difference here in Sierra Leone. *waves hello* fabulous shots, Laura. Really lovely to hear about what you are up to. Best wishes! Hi Marianna. Feel free to email me at laura@craigbellamyfoundation.org for more information on the work of our foundation. Would be happy to answer any questions you have. Thanks Lily. 🙂 I love Sierra Leone, it is a great place to be. Love these images – I have used and credited one for our article on the Craig Bellamy Foundation. Hope you like it!